Crowned the 2018 Extreme Long Range World Record Holder!!!! On January 21st, 2018 Team Tubb participated in the ELR Central World Record Event held in Nevada, competing against the best shooters from around the country for a chance to make history by setting a long range world record under the new ELR regulations. (3 shots, no sighters on a 36"x36" target) Team Tubb started strong hitting all 3 at 1768 yards setting the record that morning. That's just over 1 mile! Later in the day they pushed the envelope even further getting 3 hits at 2011 yards (again, cold bore, no sighters) setting the new benchmark in long range accuracy. This was all done with the new Adaptive Target Rifle chambered in 375 Cheytac along with the DTR scope, T7T trigger, ATR bipod and ATR muzzle brake. The Adaptive Target Rifle is the only rifle available that encopasses an overall design that alows its use in virtually any application, with no compromises. Its dynamic design allows opportunities for fitting the individual's requirements in attaining a solid shooting position that conventional rifle designs simply cannot accomplish. 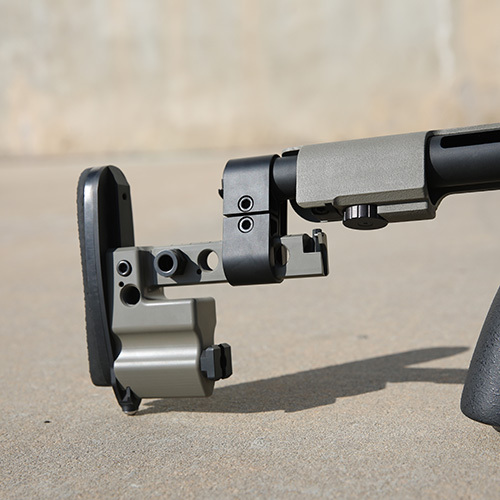 Additionally, the Adaptive Target Rifle is the most flexible platform available; its Barrel-Extension System allows easy barrel changes, letting the user have a multitude of barrels ready-to-install using the included toolkit. 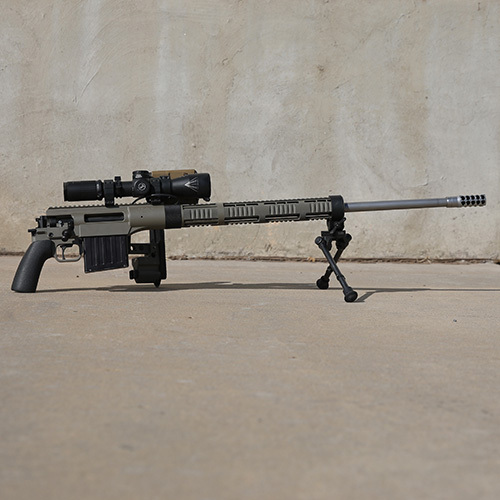 From configurations like a lightweight 338 caliber hunting rifle to a 22-pound F Class competitor, the Adaptive Target Rifle allows options and opportunities unavailable in other platforms. Every component in this system has been addressed and detailed to provide the very best package attainable: trigger, stock, forend, aciton mechanisms, magazine, adjustability, and ease of use, are second to none. 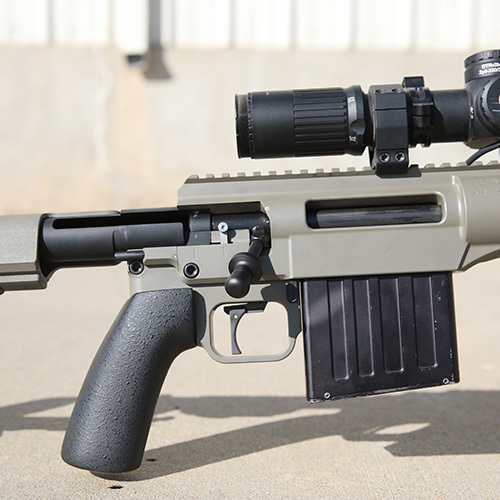 Adaptive Target Rifle Receiver includes fully assembled bolt, T7T trigger, complete stock assembly and forend assembly. *Barrel, scope and other accessories shown not included. Restricted Item: This item requires an FFL (Federal Firearms License) to be shipped to. Orders will be put on hold until FFL is received with the customers name and order number. Please email custsrvc@davidtubb.com or fax 806-323-9483 with a clear copy of a current FFL. You can also mail to: PO Box 1211 Canadian, TX 79014. You must be 21 to purchase receivers.